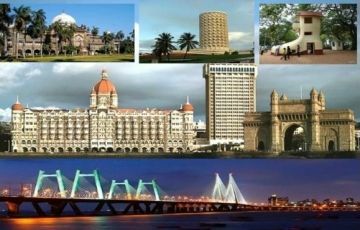 This is a package tour to cover tourist destinations at Mumbai. It starts by picking up tourists from Regal Cinema at Colaba in the morning at 10: oo AM. Tour ends at evening 8 PM after dropping tourists on respective locations. However, this is the best way to cover the sightseeing spots of Mumbai by spending one day. * Star indicates Getting Down. For Group Tour travelers have to come to our meeting point at the Regal Cinema, Colaba. The package cost of Rs 300/- Per Person includes transportation only. It does not include any entry fee, food & sea trip by ferry. Usually, all entry fees are collected from the tourist after boarding the bus and entry tickets are arranged in advance. However, camera fees are to be paid based on uses. Here is the breakup of the entry fee. Charges may vary for different tour operators.